What is the Pioppi protocol? Watch now. PIOPPI PROTOCOL from Prime Movement on Vimeo. 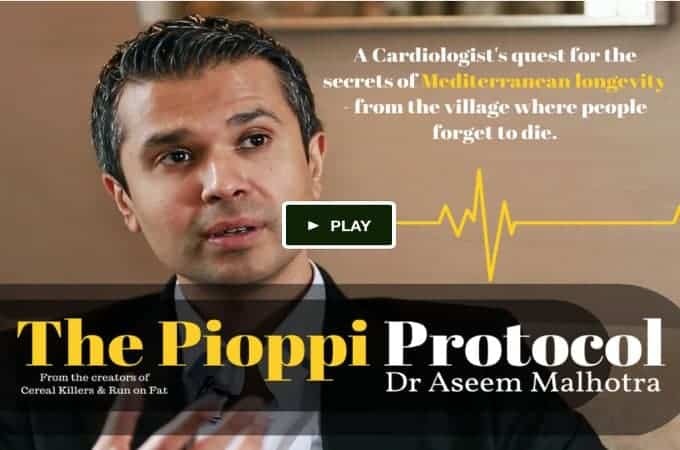 So what is the Pioppi protocol, who is Dr Aseem Malhotra and what does this have to do with our longevity? Pioppi is a tiny village near Naples where the dream of the Mediterranean diet started. In this village, people forget to die. They live long, happy and healthy lives. It is also the birthplace of the current food pyramid. 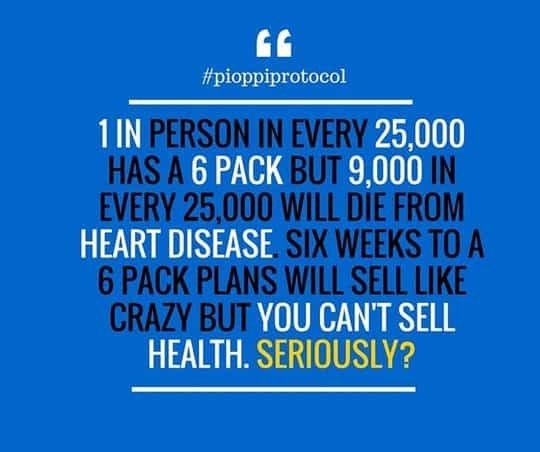 There is a problem however, how the people of Pioppi live and how it has been translated into our current food pyramid are 2 completely different things. They forget to die yet we are getting fatter and sicker. It seems when the research was done there decades ago, the data was misinterpreted and badly translated. Even Ancel Keyes (who wrote the initial guidelines) was so concerned that they got it dreadfully wrong, he tried to get papers published to correct it. They refused. Is in fact the Mediterranean diet (as we have been sold it) just a big fat hoax? No one can argue Pioppi have got it wrong, so why have we? Dr Aseem Malhotra is one of Britain’s top cardiologists who is also one of the most outspoken voices for the anti sugar campaign. He is prominent in challenging mainstream advice on the role of saturated fat in the development of heart disease. His myth busting paper on saturated fat and heart disease in the BMJ (October 2013) became one of the most read medical journal articles in the world (>100,000 downloads by medics). He frequently appears in the media both writing and commentating. This article alone in the Washington Post attracted over 1 million views in 1 day. Then there is the BBC, The Guardian, to name a few. He joins Donal O’Neil (Cereal Killers). Donal is a former international athlete who made the film Cereal Killers looking into how to prevent heart disease and diabetes through nutrition. Cereal Killers is the first “real food” documentary, a cult classic, which has since inspired other health documentaries. He ate the exact opposite of what we are recommended, and exercised for 8 minutes per WEEK and came out stronger and healthier. Together they want to unravel the misunderstood secrets of the true Mediterranean diet, before the lobbyists, marketers and bad science got their mucky hands in. They want to film a documentary on why this romantic notion of a mediterranean diet started, what is behind the bad science, what do they really eat in Pioppi, what is the real secret to longevity and health and why have we got it so completely wrong. Is the siesta saving more lives than olive oil? The final word on coffee – good or bad? But they need your help to get it made. They need funding to remain independent and can speak the truth. PLEDGE NOW. This is so true. Gym memberships are at an all time high, people want quick fixes but deep down don’t really want to address the real problem – what they eat. People will pay for new technical gadgets, quick start programmes, Apps and miracle cures, but ask them to change their way of eating, or invest in their health, and suddenly it’s just too hard. It’s up to us. I’ve pledged towards their campaign, and I ask you to pledge too. Then we need to share this through email, Facebook, Twitter or any other social media platform. I’m not waiting around for the guidelines to change, research to be done and policies to be written, but what we do need NOW, is for real people to see what real food we should be really eating. This documentary can do this. It can also influence a new generation. For a limited time you can watch Run On fat FREE. If you loved ‘Cereal Killers’, Donal O’Neil has produced his second film ‘Run On Fat’, explaining how athletes are now ditching the carbs and now running on fat with the most outstanding results. Still using sports drinks and gels? Stop today. Want better performance? Watch this today. 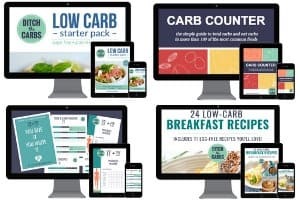 Wonder why some top athletes are going low carb but doing it in secret? Watch this. Want to know how athletes can extend their careers but years? Head over to the Run On Fat page and the free discount code. Please consider donating to their kickstarter campaign to fund their next movie The Pioppi Protocol, so it will be made without commercial influence.